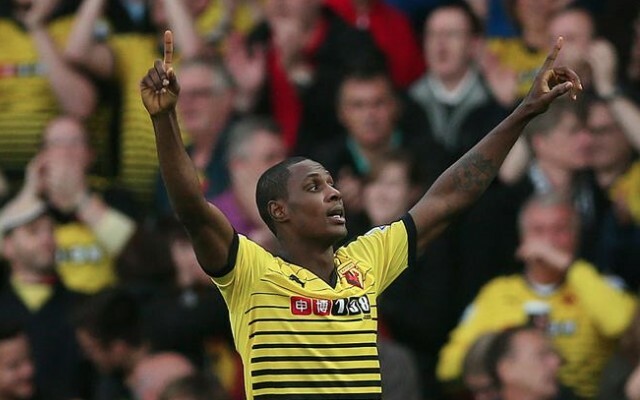 Watford are understood to be planning new deals for strikers Troy Deeney and Odion Ighalo, as rumours swirl of a transfer departure. As reported by the Mirror, the duo have scored 20 of the Hornets’ 24 goals this season since their promotion from the Championship during the summer. As such, Quique Flores’s side have risen to ninth in the Premier League table—having already won eight games and amassed 29 points. At the halfway point of the season, Watford look well placed not only to steer well clear of relegation, but also to achieve a respectable league position. Much may depend on whether they can keep hold of their offensive talents beyond January, with the Mirror noting that clubs are keen on breaking up the attacking duo, with AS Roma and Atletico Madrid, notably, keen on signing Nigerian frontman Ighalo. Watford’s decision to tie the pair down to new deals to stave off transfer interest could affect both Tottenham Hotspur and Chelsea. The heavyweight duo have been linked with a move for Atletico Madrid forward Jackson Martinez, with the Spanish giants apparently eyeing Ighalo as a replacement for the Colombian hitman [Standard]. Should Atleti fail to get their man, it remains to be seen whether Diego Simeone will still be prepared to part with his big-money summer signing from FC Porto.